Finally Samsung launched another beast of Galaxy series called S3 in mobile market. Most of the features of this Smartphone are similar to Samsung galaxy S2 and Note But there are many other unique features updated in this gadget which makes it more powerful than other S series mobiles. We collected some best Features of this Beast which makes it an awesome mobile ever launched. 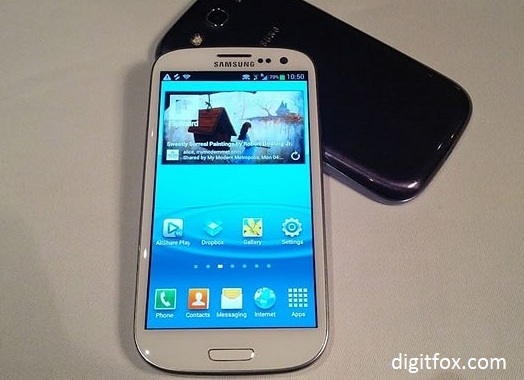 As we know that all the Galaxy mobiles support Android operating system with loaded applications. S3 comes with the laest version of Android which makes it the most poweful smartphone in the series. Lets make small discussion about the new features added with this smartphone. It comes with the latest version available of Android so you can imagine the anility and performance of this smartphone. In this new OS you can feel and awesome using experience with more loading speed. Yes, You will get the maximum processor speed in S3 available in Samsung galaxy mobiles. You can play all the heavy games of Android without any speed problem. Also the procesing speed will be exciting and user friendly. World class display is included with this mobile of 720 x 1280 px resolution. Size of display is 4.8 inches which is an awesome size compared to other smartphones. You can feel every pixel brilliantly because it comes with nice 306 pixel density. Amazing display is covered with high protection of the latest version of Gorilla Glass. Also it comes with the new version of TouchWiz. The display experience will be of excellent quality. 8 Megapixel makes it a smart picture shooter. You can click an image at a resolution of 3264 x 2448 px. Also it comes with true LED flash with autofocus and smile detection functionality. Th video quality is also good. You can record videos with HD quality. It can be a better option for you if you are looking for a smartphone which you can use for any purpose. Its is better option after Samsung Galaxy Note but the prices of S3 are much higher than S2 and Note. The latest prices of Galaxy S3 is about $750 approx and in India it will cost you around 44000/- approx.